Published by Galerie Daniel Blau 2009. Printed in Eindhoven. Texts by Richard Milward, Hans Kern and Amah-Rose McKnight Abrams. 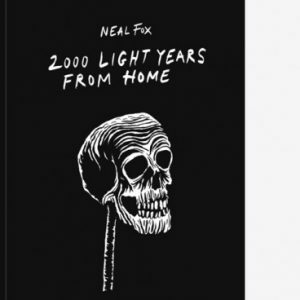 This publication was produced to accompany the exhibition ‘Neal Fox: 2,000 Light Years From Home‘ at Galerie Daniel Blau, Munich, Sept 11 – Oct 9, 2009.